The first Xiaomi online store in the US, opening soon! You are here: GeekSays Technology News » General » The first Xiaomi online store in the US, opening soon! We’ve said it before and we’re going to say it again: if the Chinese manufacturer would try to penetrate other markets, like the United States or Europe, their devices would definitely sell as good as they currently do in China or India! Apparently, they are also aware of this as the first Xiaomi online store will start selling products in the US pretty soon. Still, don’t get to excited, as their handsets won’t be available yet. 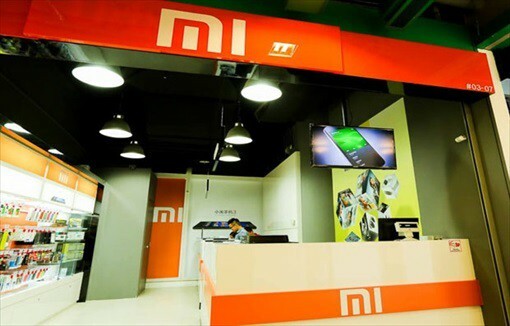 According to ZDNet, the manufacturer announced during a press event in San Francisco that the Mi store will soon be open to clients from the US. This moves comes as a part of their plan of entering this huge market, after gaining the reputation as a maker of affordable but slick smartphones in Asia. Unfortunately, the Xiaomi online store will only sell some of the company’s less-known products, like headphones, external batteries or the Mi Band fitness trackers. Asked when the Mi smartphones will also be available, Hugo Barra, the chief of international operations told the press that there are some obstacles currently to delivering them to Western markets currently. To be more specific, he was talking about manufacturing, packaging, regulations and not last, the language gap, according to the above-mentioned source. Europe and the US love your devices! Besides China and India, the Xiaomi online store currently sells smartphones in Hong Kong, Taiwan, Malaysia, Singapore, the Philippines and Indonesia, but they don’t give any sign of making them available in other areas too. Also, they don’t have anything to declare about their future plans regarding expanding their business to other markets. What do you think about this? If the Xiaomi online store would sell smartphones in your country, would you buy one? Any specific model? Share your thoughts in the comments section below.